Growing in the Christian life isn't easy. Most of the change begins in the unseen part of the heart shared only by you and God. In order to grow strong, you have to first grow deep. 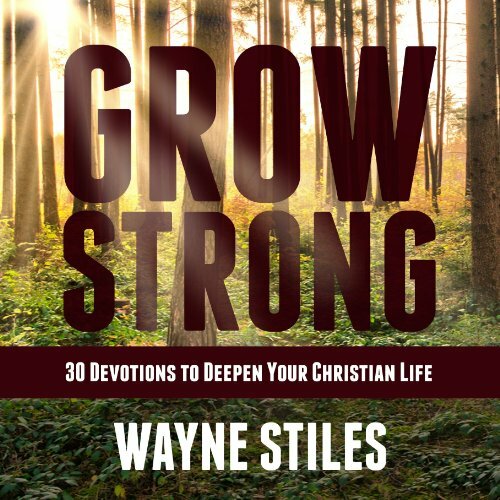 These 30 devotions by author Wayne Stiles will encourage and equip you in the essentials of your Christian life. This audiobook gives you practical lessons on how to grow strong in your relationship with God. Combining wisdom and humor with the insight of a scholar, this audiobook gives you practical truths from the Bible you can apply immediately. Growing in the Christian life isn't easy. But it is possible when you know God's plan. Get the audiobook now. And Grow Strong.